Be the first to share your favorite memory, photo or story of Todd. This memorial page is dedicated for family, friends and future generations to celebrate the life of their loved one. 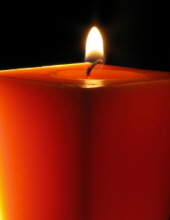 Todd Fuson of Westland, died March 24, 2019. He was 57 years old. Todd was born to on August 15, 1961. Todd is survived by his loving son Justin Fuson, his dear brother Keith (Chris) Fuson, his cherished nephew Derek Fuson, and his loving mother Millie Matthews. Todd loved spending time outdoors. He enjoyed throwing horseshoes, playing bocce ball, frisbee, and bowling. Private Cremation Services have been entrusted to the Schrader-Howell Funeral Home. "Email Address" would like to share the life celebration of Todd Fuson. Click on the "link" to go to share a favorite memory or leave a condolence message for the family.